As modern humans first walked the Earth roughly 70,000 years ago, the Moon’s orbit came into harmonic resonance with the outer planets of Jupiter, Saturn, and Uranus. The common denominators underlying these harmonic relationships are the earliest prime numbers of the Fibonacci series--two, three, and five--the same numbers that interact to give us the harmonic relationships of music. Exploring the simple mathematical relationships that underlie the cycles of the solar system and the music of Earth, Richard Heath reveals how Neolithic astronomers discovered these ratios using megalithic monuments like Stonehenge and the Carnac stones, discoveries that informed later myths and stories including the Epic of Gilgamesh, the Resurrection of Osiris, the Rg Veda, the Hebrew Bible, Homer’s epic tales, and the Return of Quetzalcoatl. He explains how this harmonic planetary knowledge formed the basis of the earliest religious systems, in which planets were seen as gods, and shows how they spread through Sumer, Egypt, and India into Babylon, Judea, Mexico, and archaic Greece. He exposes how the secret knowledge encoded within the Bible’s god YHWH was lost as Greek logic and reason steadily weakened mythological beliefs. 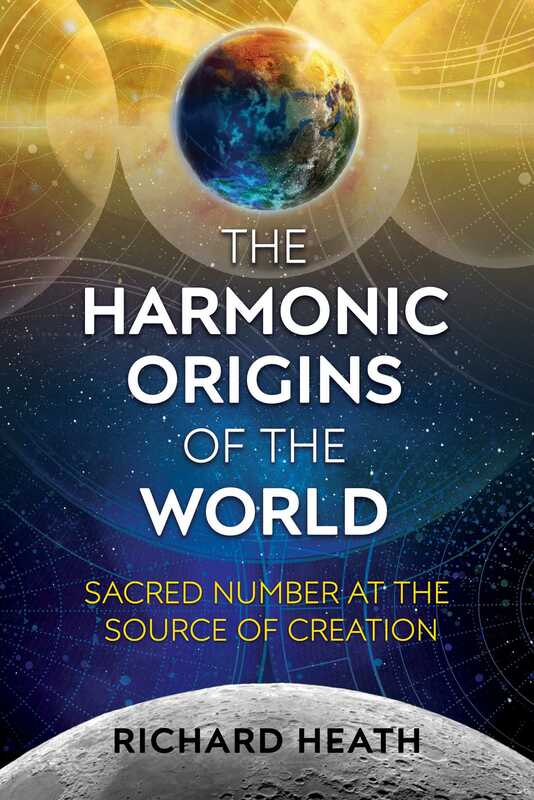 Revealing the mysteries of the octave and of our musical scales, Heath shows how the orbits of the outer and inner planets gave a structure to time, which our Moon’s orbit could then turn into a harmonic matrix. He explains how planetary time came to function as a finely tuned musical instrument, leading to the rise of intelligent life on our planet. He demonstrates how this harmonic science of numbers can be read in the secret symbolism and sacred geometry of ancient cities such as Teotihuacan and in temples such as the Parthenon, connecting the higher worlds of planetary time and harmonics with the spiritual and physical life on Earth. Recasting our understanding of the solar system, Heath seeks to reawaken humanity’s understanding of how sacred numbers structure reality, offering an opportunity to recover this lost harmonic doctrine and reclaim our intended role in the outer life of our planet. The behaviour of prime numbers is far easier to study than planetary astronomy. Megalithic astronomy was already studying numbers using lengths rather than arithmetic. Division by three, for example, could be done through dividing a number of counters by repeated subtraction of three units to see if there were any left over. The door was also open to the idea of using these lengths as musical strings so as to discover that those interval ratios involving the first three primes gave the ear sounds that seem more harmonious. This division between music and astronomy reveals a natural duality found within music, since string length forms a musical tone, while the ear is the judge of which tone pairs are harmonious. The notion that a mythical character named Pythagoras invented numerical tuning cannot be true since two thousand years before him Sumerians had a numerical tuning theory. However, it is Pythagoras who kept alive the idea of a Harmony of the Spheres, leading to the many later Theoretical Harmonists. Knowledge of musical harmony between planetary synodic periods, which entered the historical record in Sumeria by the time of Gilgamesh, was due to the megalithic usage of measure as a pre-arithmetic notation (in which numbers were stored as lengths). The capacity of megalithic astronomers to make the necessary orbital measurements of the Moon (120), Sun, Jupiter (135), and Saturn (128) revealed musical intervals between these bodies. The later megalithic astronomers would then have had a theory of harmony based on the factorization of numbers and the intervals found between them. It was their numerical tuning theory that one finds expressed in the ancient Near Eastern texts, where the strings of harps were given names that were numbers--exact numbers that were the smallest possible integers required to form the required scales--thus populating their octaves with harmonious tone sets. When the lunar measurements found in outer orbital planetary periods were numerically “cleared” of fractions, they could be studied beneath a limiting harmonic number equal to or greater than 135, the highest number in the set. This approach of using limits would prove to be the only clear way of investigating the universe of rational harmony, and the idea of a lunar month equal to 10 units of time was the founding step. Having noted that powers of three and five demarcate the arising of harmonic numbers within the field of all numbers, harmonic numbers can be lined up left to right according to the power of three they contain, and vertically stacked according to their composite power of five. There are less powers of five possible within a given range, with the greatest power of five atop what then becomes a mountain of numbers between a limit and half of that limit, forming an octave populated by tones and, between tones, intervals. In the next chapter, it becomes clearer that this is the best way to look at harmonic numbers within limits, since powers of three are added when tuning an instrument using perfect fifths--that is, when multiplying by 3/2. From this we learn that each unique combination of powers of three and five, within a limit, leads to only one harmonic number in each octave mountain. When a limiting number is chosen, it should be a harmonic number (called a regular number in the ancient Near East) made up of factors of 2, 3 and 5. As stated, the largest number in our set [120,128,135] is 135 and the only harmonic number greater than this is 150. There is a biblical reference concerning Noah's flood that "The waters prevailed upon the earth a hundred and fifty days" (Genesis 7:24), an example of how the Bible compilers seem to use significant harmonic numbers within their stories, as shall become obvious in later chapters. The number for Saturn (128) contains no threes or fives and seems to belong to a different category as a number, in which two doubles itself. In this case two is being doubled six times and in each of those doublings the limit rapidly grows: 2:4:8:16:32:64:128. It is only with the last doubling that Saturn as 128 (its synod) can contain the Moon as 120 (the lunar year). Yet 128 cannot contain Jupiter as 135 (its synod), while 150 can hold 135, 128 and 120 within its octave of 75:150. When these three astronomical periods were investigated, as number phenomena based upon a unit one tenth of a lunar month, 150 is the lowest limit in which the Moon, Saturn, and Jupiter can share an octave. This makes 150 a significant and unique number, perhaps signified in the limit of Noah's flood. These could be referring to the step forward in late megalithic understanding that was subsequently transmitted to the Near East and Far East, where lessons in far larger harmonic limits were to follow. Both 120 and 135 contain a single factor of five, but there are no factors of five in the interval (9/8) between them. Meanwhile, 150 has two fives in its own "make-up" and so one seeks to go beyond the flood limit of 150 days and "come down" to the age at which Isaac dies(180), whereupon one sees that 90:120::135:180 reveals the 120::135 interval as held between an ascending fourth of 4/3 x 90 and a descending fourth of 3/4 x 180. If we divide 90 by 2 then 45 cannot be halved and the biblical Adam, the precursor to Noah and First Man, is A.D.M = 1.4.40, which sums to 45. Abraham's wife Sarah would give birth to Isaac at age 90 and then, as above, Isaac died at 180. The Bible's Genesis story appears to be recapitulating early limits necessary to "contain" the two outer planets and the lunar year. After decades of technical and spiritual training, Richard Heath became interested in megalithic astronomy and its numerical skillset. He has written five books on the sacred use of numbers. In Matrix of Creation he explores those found in the planetary world, in Sacred Number and the Origins of Civilization he explores those important to ancient civilizations, and in Precessional Time and the Evolution of Consciousness he examines the numbers that define the important Ages of the world. In Sacred Number and the Lords of Time he provides an alternative history for megalithic astronomy, and in The Harmonic Origins of the World, he explains how the megalithic discovered planetary harmony through counting lunar months, thus explaining why ancient texts were informed by harmonic numbers. He lives in the Preseli Hills of West Wales.